For decades, dermatologists have been researching the genetic cause of aging skin so that the perfect antidote could be developed. When examining genes and proteins, a difference between younger and older looking skin has not been found. Now, dermatologists have a new theory — the secret to aging skin may lie in the glycans, which are sugars on the surface of cells. Board-certified dermatologist Zoe Draelos, MD, FAAD, consulting professor at Duke University School of Medicine, Durham, N.C., addresses the latest developments in anti-aging, including glycan creams and micronutrient creams. 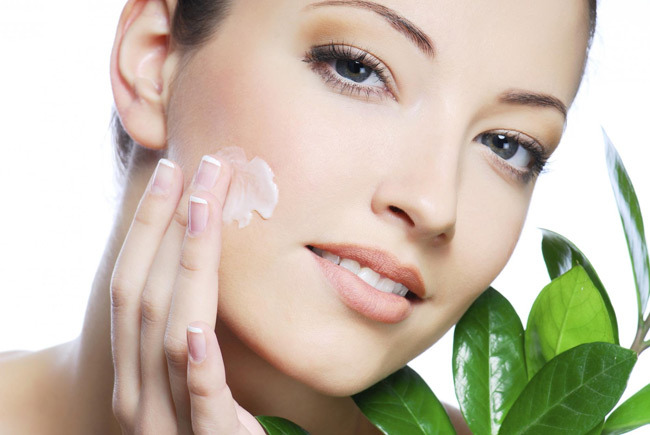 What is the theory behind glycans and anti-aging, and how do glycan creams work? Dr. Draelos said a person’s glycan levels change during their lifetime. For example, one of the body’s most common glycans is glucose, and Dr. Draelos said glucose levels fall by about 50 percent from age 30 to age 60. In addition, existing glycans may not work as well as they once did. “The theory is that glycan change and loss that occur with aging lead skin cells to not recognize or communicate with each other with the same vigor they did in their youth,” said Dr. Draelos. “This may be why aging skin doesn’t heal as well or make collagen as readily as it once did,” said Dr. Draelos. Dr. Draelos said the goal of glycan creams is to provide sugars or transform existing sugars to allow older cells to behave like younger cells. In theory, this would allow the skin to produce more collagen and heal better after injuries, including burns and cuts. Dr. Draelos notes one added benefit of glycan creams is that they are considered safe to apply to the skin because sugars are the body’s fuel. Are there broader implications of this research? “We’ve known for a long time that sugars are important to the body as they are used to distinguish normal cells, which should be preserved, from infected cells, cancer cells, or any cell that is not quite right and should be destroyed,” said Dr. Draelos. Dr. Draelos said glycans might hold the secret not just to aging of the skin, but to other changes that occur within the body. Every cell in the body has sugars on it, so Dr. Draelos said glycan therapies could have a role in preventing and treating cancer and infections as well as skin conditions. What are the most promising micronutrients for anti-aging? Micronutrients are vitamins and minerals that are essential for human survival. While necessary in our diet, Dr. Draelos said micronutrients are also popular additives in anti-aging skin care products because micronutrients play an important role in the body for healthy skin by preventing oxidative damage. There are recommended daily allowances for each of these micronutrients, but no evidence exists that increased consumption has anti-aging benefits. While vitamins A, C and E are commonly included in anti-aging products as antioxidants, Dr. Draelos said some anti-aging creams now include metals, such as copper, which is necessary in collagen production, or selenium, which functions as an antioxidant through an alternative pathway. “While research has shown that metals such as selenium and copper have skin benefits when included in our diet, effectively adding these metals to a skin care cream can be a challenge because applying micronutrients to the skin may not be as effective as when consumed,” said Dr. Draelos.